There are a multitude of roofing options available to home and business owners in southern San Francisco Bay area. Whether your need is roofing for new housing, re-roofing for older homes, or repair of leaks and lost shingles, every type of roofing material imaginable can be had. Residents of Palo Alto, Menlo Park, Sunnyvale, San Jose, and this whole region of California can afford to be selective when deciding on what type of roofing they would like installed. When old or missing shingles must be replaced, they can be sure that their roof’s material will be available in the local area at a reasonable rate. The most common shingle by far for roof repair and roof replacement jobs is still the asphalt bitumen variety. The main appeal of this option is its low cost and easy installation. The most up and coming type of roof these days, however, is the sheet metal roof, frequently made of galvanized steel, aluminum, or copper. Copper is sought after for its corrosion resistance and its beauty as it shines in the California sun. Aluminum also resists corrosion well and is cheaper than copper. Galvanized steel is, perhaps, the strongest option. The structured patterns of the sheet metal, whatever specific kind it may be, strengthen it, and each piece is carefully fastened to the roof timbers to keep it firmly in place. Not every roofer or roofing company can handle the more delicate nature of cedar shingles or shakes. These must be installed so as to let the wood breathe and not trap moisture below. Ceramic roof tiles, slate, asphalt roll roofing, and rubber shingles are other types of roofing material that not all roofing contractors offer. The last-mentioned option, rubber shingles, are made of recycled tires, offer excellent UV light protection, and can last for 50 years. 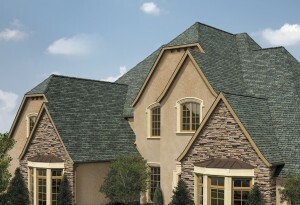 Slate can last literally for centuries, and ceramic can transform an ordinary roof into a veritable work of art. If you want to go with one of these rarer options, you will need to inquire with the individual roofing contractor. One of the very best and wide-ranging roofing companies in the south Bay area is Shelton Roofing. They have over 70 years of experience and a fully trained team of over 30 roofers. They can come to your rescue with emergency roof repair work or help you plan out your ideal “dream roof.” They know how to handle a multitude of different roofing materials, how to install them so they last many years, how to flash and nail to avoid leaks, and how to repair a damaged roof in a fast and effective manner. Contact them today, and they will be able to assist you without delay. This is a top-tier roofing company that takes its service to the community seriously, and you can be sure they will give you a professional, high-quality job.